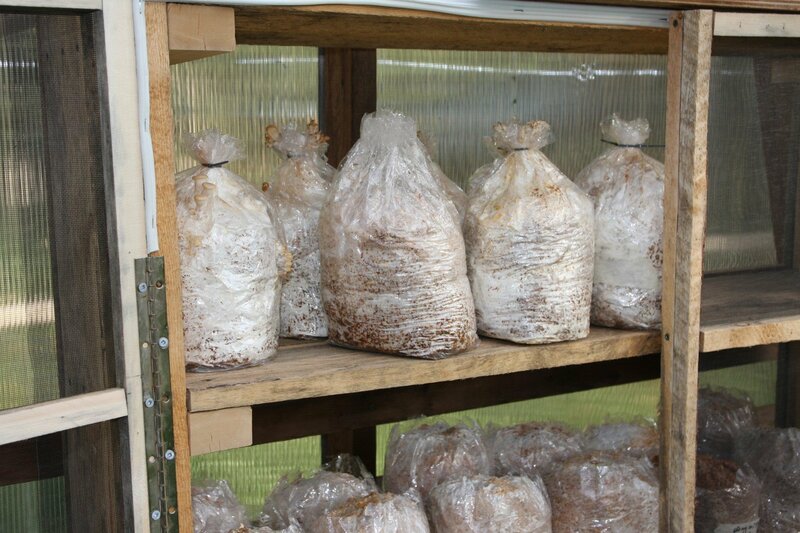 This summer we had a lot more mushroom experiments around the farm and therefore created a significant number of juicy, yummy, fruiting mushroom bodies! The fungus gnats enjoy all of the various oyster varieties we have growing. We singlehandedly increased the local population of fungus gnats. We really didn’t figure out what was going on until it was much too late. The mushrooms look perfect on the outside! 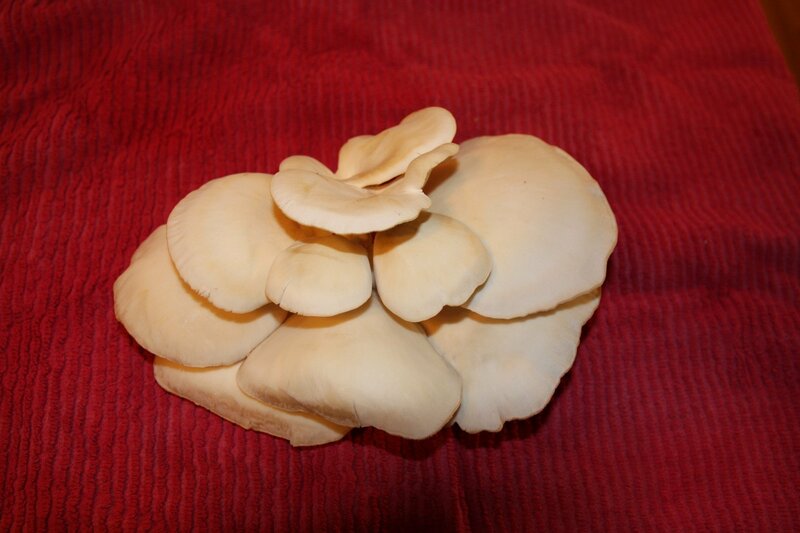 It’s only once you go to cut them up or break them open that you realize it’s a bunch of little white worms – and no mushroom. Since we do not have a controlled and sealed environment (yet) for fruiting mushrooms, we decided we could create a mini fortress in our greenhouse. It has been working quite well! Of course, our misting system is no longer able to increase the humidity level inside these shelves but we are still getting lots of fruits. We aren’t sure if this is a problem in more urban areas… We believe these gnats are naturally occurring in our forest (or surrounding forests) and normally use wild mushroom fruits to reproduce. Below is what we had for dinner a few days ago. Worm free!